General Motors dealers delivered 272,423 vehicles in the United States in August 2014, a decrease of 1 percent compared with the same time period a year ago. Retail sales were down 4 percent while fleet deliveries were up 9 percent. The results compare favorably to August 2013, which was GM’s best sales month in 2013. The General’s August 2014 sales results were led by an 18 percent increase in truck sales compared to a year ago, a 10 percent increase in GMC deliveries, and a 30 percent increase in commercial sales. On a selling day adjusted basis, GM’s total sales were up 2 percent, with retail sales essentially equal to a year ago, and fleet up 13 percent. Fleet sales comprised 22 percent of total sales in August. In addition, incentive spending as a percentage of average transaction prices (ATPs) was 10.4 percent, the lowest of all domestic automakers by a significant margin, according to J.D. Power PIN estimates. GM spending was down a full percentage point compared to both August 2013 and July 2014. The good news doesn’t end there: a whopping 28,000 orders have been placed for the Chevrolet Colorado and 14,000 orders have been placed for the GMC Canyon. Both midsize trucks began production this week and will arrive in showrooms this fall, making both Chevrolet and GMC the only brands offering mid-size as well as full-size light- and heavy-duty pickup trucks. The General also had the lowest incentive spending of all domestic automakers, while affirming its sales outlook to be near the higher end of the full-year outlook outlined in January 2014 — which was for 16.0 million – 16.5 million units. Chevrolet Silverado deliveries were up 13 percent and GMC Sierra sales were up 10 percent, with ATPs improving from July, according to PIN data. This was the best August for GM pickups since 2008. GM’s ATPs in August were the highest in company history at about $33,750, according to PIN. ATPs were up $500 per unit compared with July, and up about $2,900 from a year ago. GM’s gains in the commercial segment were driven by pickup and van sales, which were up 23 percent and 19 percent, respectively. Sales to rental customers were up about 3 percent. Sales to government customers were up about 14 percent. 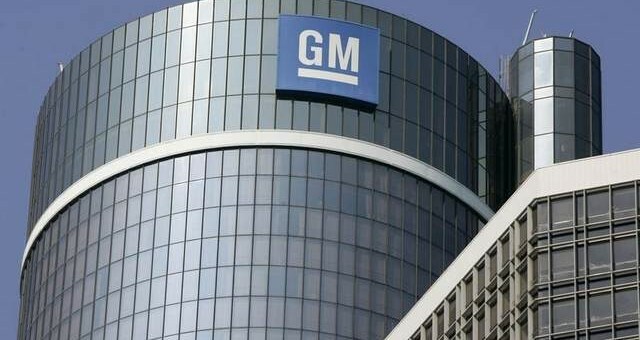 GM’s fleet mix in August was 22 percent. Calendar year to date, GM’s fleet mix is 25 percent. 27 selling days for the August 2014 period, and 28 for August 2013. Totals contain discontinued models, including Buick Lucerne, Cadillac DTS and STS, as well as the Chevrolet Aveo and HHR. Combined Silverado / Sierra outdid F-series for the first time in a long time. 0% for 72 will do that. Holy cow, the ATS and CTS are a disaster in terms of sales. If it wasn’t for the Escalade, it would be a complete meltdown. The new boss has got his work cut out for him. Buick needs to bring the Envision over pronto. If they can assure quality, it needs to make it in the Summer of 2016, not the end of the year. The big SUVs are doing very nicely. Finally, let’s hope the Colorado and Canyon are the hits they look like they could be. GM looks to be pricing it right, with the correct specs (MPG looks good), but they’ll need to deliver beyond just the product throughout — from marketing to sales to quality to service. GM can’t afford for it to just do “pretty well” ; they need a big hit. What is going on at Cadillac?!?! This is looking like a disaster. They’re eliminating all the growth they made last year. It’s a true shame because their products have never been better. It all comes down to marketing. I can’t remember the last time I saw a commercial for the new CTS, ATS or Escalade. Their marketing is almost non existent. I hope the new boss changes this quickly. Let’s not forget that the ATS and CTS realigned Cadillac’s sedans pretty heavily for the higher end of the market/price range. The LTS will continue that trend even further… as does the new Escalade. Meanwhile, the SRX is long in the tooth and is quite frankly not as good as new luxury crossover entrants such as the X3, GLK, and even the aging Q5 (that’s still selling well despite the new model being right around the corner). Cts — has to do with styling. The new one is decidedly more unattractive than the old to my eyes. ATS – I don’t see this as exceeding the tried and true 3 series, or even the A4. They exceeded the old C class, but fell incredibly short of the new. GM needs to stop benchmarking current gen vehicles when planning launches X years out. I would wager at least half of a dollar that your opinion of the new CTS’ styling is not aligned with that of the general population. As for the ATS: it depends on the segment within the compact lux class. The ATS 2.0T is incrementally better than the 3-Series, current (not next-gen) C Class, and A4. But in the high end V6 segment, the ATS 3.6 is incrementally outclassed by the BMW 335i and Audi S4. The most important part is that with the Alpha platform, Cadillac finally has a solid foundation on which to build future class-leading models. This was not the case years ago, before the ATS and 3rd generation CTS were even on the map. Now, they can follow the BMW, Mercedes, and Audi model of gradually improving their vehicles without having to make these huge jumps just to catch up (as was the case with the ATS, CTS, and will be with the LTS). The ball has been dropped and lost on Marketing. GM has been doing much right but they still have not gotten the marketing right. They do well at the intro but the cars get lost and lose all the excitement around them with no follow through. It take more than just building a great car as you have to generate the excitement around them. Until Cadillac has earned their reputation back they will have to work twice as hard as the competition. A little disappointing, but not too bad overall. Glad to see GM’s trucks, and especially full size SUV’s, doing quite well. With little advertising at that. Too bad the success can’t translate over to Cadillac. It’s a shame really; they have the best lineup in their history but still can’t gain a solid footing in the luxury market. It’s seriously time to get ball rolling on advertisement. It’s also painfully obvious that a larger product portfolio is needed. The Buick brand’s sales are also quite disappointing, they could use the same formula. It’s really shocking the ATS/CTS is performing this poorly. Nobody expect them to beat the 3 series/5 series, but when even Audi’s old A4 is showing double digit percentage sales increase, it’s hard to understand what’s happening with Cadillac. Also really look at the numbers sold not the percentages and it is not as bad as it looks on the surface. When you sell as many cars as GM does the percentages do not tell the real number. Chryslers great percentages are due to poor sales last year and the improvement of Jeep. But with that said GM still needs to improve their performance. Cadillac is on a number of levels a disaster. The product is fantastic, but US consumers still see import brands as equaling status. Is this a marketing problem? A lack of street cred? A line lacking in diversity? Americans failing to equate luxury with American? It is a combo including all of the above. Caddy needs an exciting product to rival the new 4C. Maybe GM should be shifting that mid engine Corvette varient in Cadillac’s direction. Lincoln sales are moving up and what bothers me is that GM is failing to remind shoppers that Buick, not Caddy, competes with and surpasses Lincoln. Everything you name is directly linked to marketing issues. Styling is not the problem as the cars sold well to start but the continued sales have been an issue. Lack of diversity is marketing but more models are coming. It just takes time. Failing to equate luxury or in this case performance is lack of marketing. Finally I will add one. The pricing needs to sweeten the deal to get people to give it a try or a look. This is where GM is having a battle internally as part of the company wants to go with lower profit requirements and part wants to hold the line. Something has to give here to get butts behind the wheel. As for Lincoln I would not worry about Lincoln. The folks buying a Lincoln are bargain Luxury buyers and not who Cadillac is reaching out for. They are the same folks who buy Buick or Chrysler. The 300 right now is where I would worry more about as it is RWD and Chrysler is having a Fire sale on them. My In laws just bought one and while a nice car and $10,000 off sticker they are now missing the many things they used to get in their Cadillac the Chrysler does not have. At this point I do not see them being a repeat buyer and will go back to Cadillac next time. I saw a dealer advertise a V6 300 for $28,000. Also I would worry about Lincoln more if they had a better car. Well at this point they only have a better price and nothing that even compares. Once Buick starts getting it’s new models I worry it may cause Cadillac more trouble. Lets face it the Lacrosse and Regal are not new cars and if the new coming product is really good people will down size. Also we must also consider this too. Cadillac was not intended to sell in higher volumes but it still has to make a profit. Just were are they on profits now is the important issue. If the profits are in the tank the people wanting a lower price may get their way. At least I hope. Cadillac needs to get people to really check them out and to market an image they can build on. Right now we have dancing robots. Not an image that can beat the Germans. As for styling the more conservative look will not hurt them. As it was the polarizing cars got attention but did not run away with sales. The coupe to me was neat but never a big seller and often turned as many away as it attracted. Looks were not the only issues but being able to see out and blind spots have been a complaint. I drove a CTSV not long ago and I am used to blind spots in some of my cars but the CTSV was noticeable to me. I am ok to work around it but I suspect many walked away. The coming CUV models will help Cadillac but again they need to market them. The dancing robots would be fine for Buick, better than the old people, but that’s another topic. In NYC, they just began airing an even worse advert equating “success” with Cadillac. These ads feature professionals and suggest that a Cadillac is a reward for a job well done. Overall, such ads are a tacky turn off. Reminds me of that “Success” themed store that used to be at the mall. Just take a look at BMW, Mercedes-Benz, Audi, and Lexus. All of them now are pretty much the same vehicle in different sizes. At least when it comes to sedans (not necessarily crossovers yet), the Cadillac product strategy is spot on. But marketing is failing to deliver the brand’s newfound direction and message. I live on the West Coast. Caddy doesn’t enter into the equation for smaller sedans, particularly when GM prices it equivalently. Take a page from Lexus — price it well below the competition until you get your rep up, and then boost prices. Being competitive with the Germans price and equipment wise just won’t cut it. The Lexus IS wasn’t ever “well below” the prices of the German compacts. It was a couple thousand here or there… but nothing too substantial. The problem is image. When the product is right (and it is when it comes to the ATS and CTS), the image is then driven by marketing. And that’s where Cadillac is currently faltering. I kinda wondered how did Rav4 went to the top and if the equinox should be worried about the cherokee?